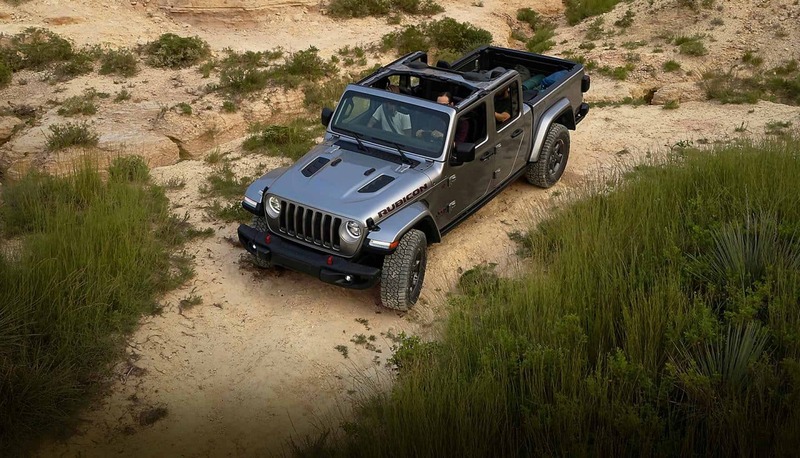 With legendary Jeep® 4x4 capability to take you off the beaten path and the strength to tow or haul your toys wherever you need them, the All-New Jeep® Gladiator won’t just carry you to the adventure, it’ll be a part of it. 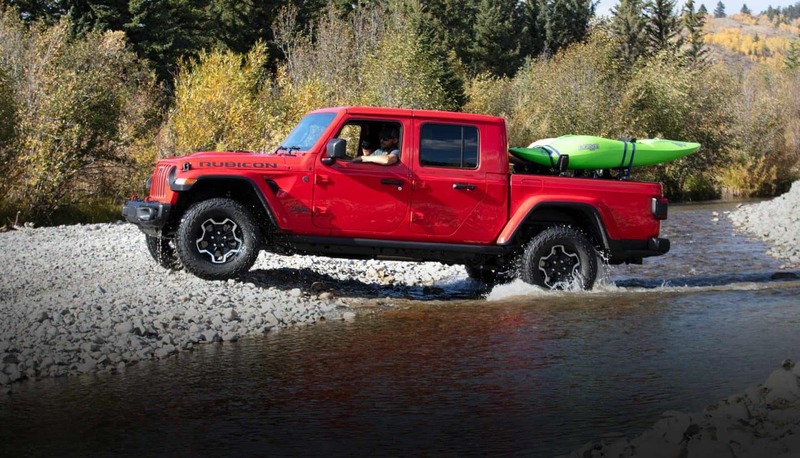 The Gladiator is the only open-air pickup truck in the industry and has been engineered from the ground up to deliver Best-in-Class towing and Best-in-Class payload. 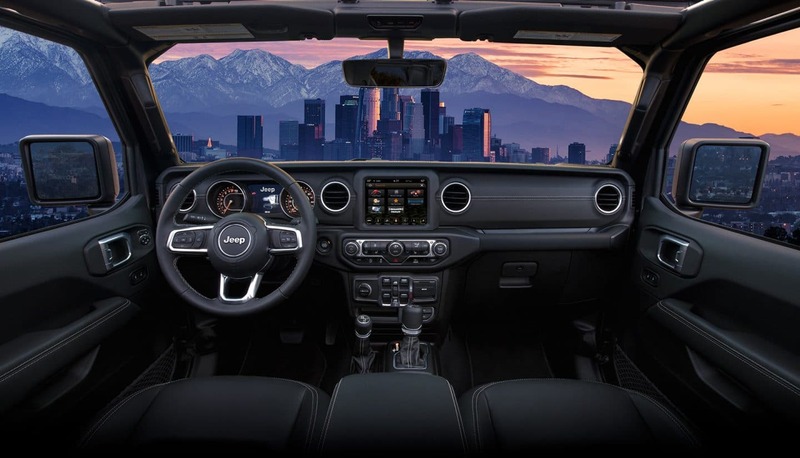 It is unmistakable and will set new standards wherever it goes. Properly secure all cargo. Do not attempt water fording unless depth is known to be less than 30 inches. Traversing water can cause damage that may not be covered by the new vehicle warranty. Always off road responsibly in approved areas. Be sure to follow all instructions in owners manual for removal of top, doors and lowering or windshield. Driving with the doors off and windshield down is for off-road use only. Always drive within your ability and experience level and consistent with conditions. Be sure to follow all instructions in owners manual for removal of top, doors and lowering of windshield. Driving with the doors off and windshield down is for off-road use only. Properly secure all cargo. Always tow within the vehicle’s capacity. Properly secure all cargo.